1. Book a free consultation. We will identify the tasks you need to outsource, the right package for you, how we would work together, regular updates and preferred communication. 2. Sign the paperwork. Post-call a proposal will be sent, along with our terms of business and a profile of a Virtual Assistant we recommend you work with based on your requirements. 3. 1:1 Virtual Assistant assigned. 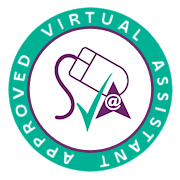 We connect you with your perfect Virtual Assistant. In addition your Account Manager will be on hand during the onboarding process and as part of the ongoing service. 4. Offload your to-do-list. We will have a kick-off call to highlight the key tasks we can work on right away. We can communicate via project management tools such as Asana and Trello.